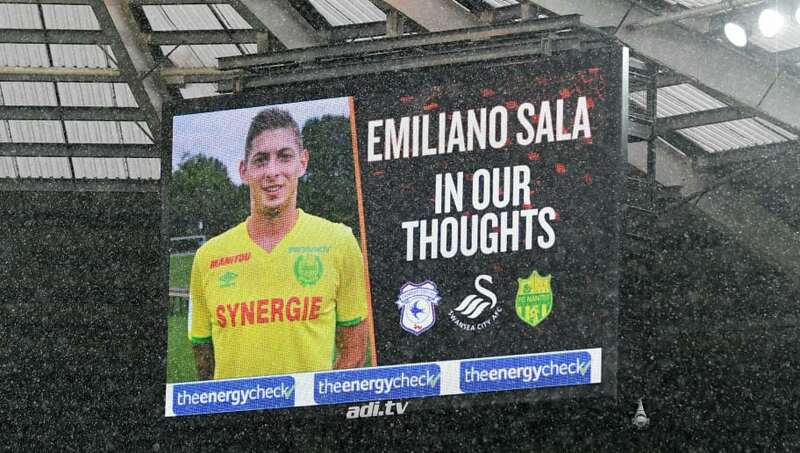 ​Underwater searches are set to be conducted for missing footballer Emiliano Sala, after a short-distance flight carrying the striker went missing over the English channel shortly after he had signed for Cardiff City. The tragic incident saw a flight containing Sala and a pilot go off the radar on Monday evening, and authorities called off official recovery efforts at the tail end of last week due to the slim chances of finding either alive. In an effort to provide some closure over the incident, however, a private air and sea rescue is to be launched on Sunday, with €300,000 funding for the operation raised through donations. "We have sourced and hired a survey vessel equipped with state of the art search equipment, which will be used to conduct an underwater search for the wreckage in the area of the last radar contact," said David Mearns, of ​Bluewater Recoveries. The tragedy has been felt far and wide, with Bluebirds boss Neil Warnock saying it has been the 'most difficult week of his career' so far, adding that it even made him reconsider his position as manager. "I've been in football management now for 40 years and it's by far the most difficult week in my career by an absolute mile," the manager told ​BBC. "I think I've re-considered the job probably 24 hours a day in the last week, it would be true to say, even as I sit here now. "Because there's more important things, isn't there? It takes something like that to make you realise. "But I realise I have a job to do here, and it was always a massive job. It's doubly massive now, and that's when you've got to show your leadership and show the lads you're in charge of that we've got another miracle to do here." "By far the most difficult week of my career." While business is hardly at the forefront of ​Cardiff's priorities at present, they are reported to be considering legal action over the nature of the accident. ​The Telegraph say it could cost them around £14m even after insurance payouts are taken into account, and they are investigating into potential negligence before arriving at a decision.